Green College produces numerous free public lectures (up to 150 in a given academic year) on a wide range of interdisciplinary topics. There is no substitute for experiencing our lectures at the College, and for the opportunities to carry-on conversation with the speakers and audience members afterwards in a reception, at dinner, and at a fireside chat. But for those who cannot be at the College, some of our lectures are recorded and published. These can be found on our youtube channel. Some lecture series are recorded and converted into podcasts, to preserve the content and make it available to those that were unable to join us in the Coach House. Additional podcasts will be added here and to our YouTube channel as they become available. What is the biggest problem facing the legal profession? The Chief Justice of Canada says it is access to justice. Research suggests that almost half of Canadian adults will experience a significant legal problem over a three year period, but very few will find legal services to deal with that problem. So why doesn’t access to justice (“A2J”) have a higher public profile? The 2016-17 public lecture series, Cross-Sectoral Consultation: Access to Justice, hosted by Green College, and convened by Mary Liston and Andrew Pilliar of the Allard School of Law, explored how and why this problem touches the lives of a majority of Canadians not just now, but throughout their lives. Each of these talks was a provocative and incisive survey of an important aspect of access to justice. The talks were recorded and they are available to the public as podcasts. Click the talk titles in the green buttons below to link directly to the podcasts. Discussion and work produced by several of our Green College Thematic Series have led to published works. See the list of publications below with links to the publisher website (where possible) to purchase. 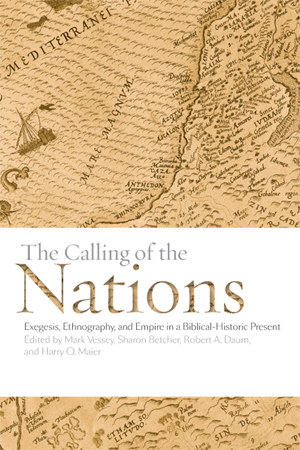 Current notions of nationhood, communal identity, territorial entitlement, and collective destiny are deeply rooted in historic interpretations of the Bible. Interweaving elements of history, theology, literary criticism, and cultural theory, the essays in this volume discuss the ways in which biblical understandings have shaped Western - and particularly European and North American - assumptions about the nature and meaning of the nation. As public issues stretch out to affect an ever expanding population, democratizing planning and governance becomes increasingly important. How localized communities embrace the progressive qualities of civil society is a critical topic in an era where diverse and divergent forces often counteract civil society formation and community initiatives. 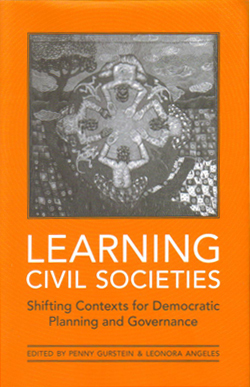 This collection explores the theoretical underpinnings of democratic planning and governance in relation to civil society formation and social learning. Editors Kevin D. Haggerty and Richard V. Ericson bring together leading experts to analyse how society is organized through surveillance systems, technologies, and practices. 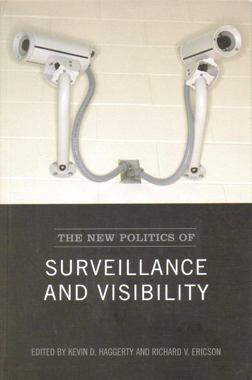 They demonstrate how the new political uses of surveillance make visible that which was previously unknown, blur the boundaries between public and private, rewrite the norms of privacy, create new forms of inclusion and exclusion, and alter processes of democratic accountability. This collection challenges conventional wisdom and advances new theoretical approaches through a series of studies of surveillance in policing, the military, commercial enterprises, mass media, and health sciences. 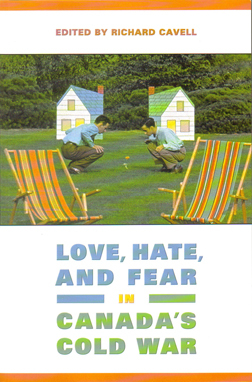 The essays in Love, Hate, and Fear in Canada's Cold War present a Cold War different in many respects from the familiar one of anti-communist hysteria. In Canada, the Cold War raised issues of national self-representation that went beyond international political tensions related to capitalistic versus communistic regimes. If the discourse of the Cold War in Canada was anti-communist, it was also anti-American in many ways. Drawing on a number of disciplinary approaches and examining what Michel Foucault called the “discursive” practices of the period, the contributors examine how, in the Cold War, the personal became the political through the state's attempt to regulate sexuality in pulp fiction, in film, and in public spaces. When the prospect of prosperity and the good life requires an adjustment of national identities and alliances, old myths and new tales alike are mobilized in the effort. People's choices of belonging are flexible and often blatantly pragmatic. 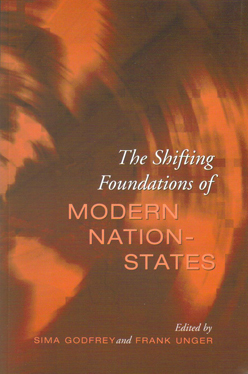 In The Shifting Foundations of Modern Nation-States, Sima Godfrey and Frank Unger have gathered together a distinguished, multidisciplinary group of authors to discuss national myths from Europe, North America, and Asia. Just as the plurality of nations implies diverse voices and distinct narratives, the authors, coming from different disciplines and backgrounds, represent multiple discourses on the theme of nationhood. Drawing from a wide range of disciplines and perspectives, the essays in Multiple Lenses, Multiple Images are oriented around the idea that images of childhood can be understood within three dimensions: time, space, and discipline. 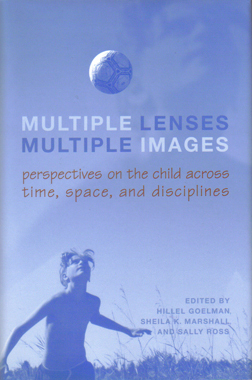 Multiple Lenses, Multiple Images is intended to deepen and expand the collaborative, interdisciplinary discourse on children and childhood through reflections not just on what is known about children, but on how it has been learned. Risk and Morality examines how decisions about risk and uncertainty relate to moral principles and ethical conduct. Editors Richard Ericson and Aaron Doyle have brought together in this volume a selection of original essays on the topic by renowned scholars in the disciplines of philosophy, sociology, law, political science, geography, criminology, and accounting from Canada, the United States, England, France, and Australia. Presenting cutting-edge theory and research, the essays analyse the broader social, political, economic and cultural dimensions of risk and morality. Bal's focus for this book is the idea that interdisciplinarity in the humanities - necessary, exciting, serious - must seek its heuristic and methodological basis in concepts rather than its methods. Concepts are not grids to put over an object. The counterpart of any given concept is the cultural text or work or 'thing' that constitutes the object of analysis. No concept is meaningful for cultural analysis unless it helps us to understand the object better on its own terms. Bal offers the reader a sustained theoretical reflection on how to 'do' cultural analysis through a tentative practice of doing just that. This offers a concrete practice to theoretical constructs, and allows the proposed method more accessibility. 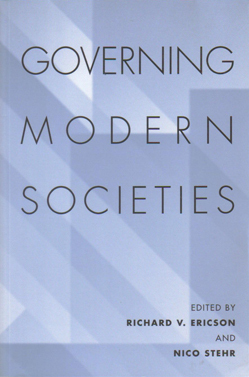 The focus of this collection is on the extent to which the nature and practice of governance has dramatically changed. The realities of cutbacks in social security expenditures, changes in technology, shifts in labour markets, politics of identity and group rights, loss of political autonomy by nation-states, and management by surveillance and audit all underscore the evolution of governing. The fact that such shifts are also connected to new forms of governance beyond the state (at the community level, for example, within corporate institutions and through the influence of social movements and economic markets) makes the task of governing modern societies all the more challenging. In this study Dominick LaCapra addresses the ongoing concern with the application of theory - namely that of literary studies and linguistics - to contemporary historical research and analysis. History and Reading is an attempt to address the concerns of those scholars who either resist theoretical discussions or disavow the use of interdisciplinary study. 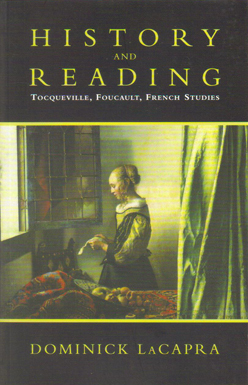 LaCapra offers sensitive readings of Tocqueville and Foucault, authors who present vastly different narrative strategies and modes of analysis. Looking at these and other theorists whose work addresses the writing and understanding of history, he considers how their distinctive textual practices have transformed standard modes of interpretation and analysis. What is intelligence? Are truly intelligent machines a practical reality? If so, can they work in harmony with human beings and improve the quality of our lives? 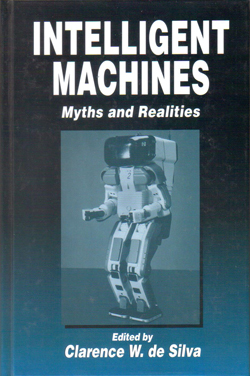 Intelligent Machines: Myths and Realities explores the technological, industrial, economic, social, and research issues related to intelligent machines. Written for both technical and nontechnical readers, Intelligent Machines presents complex issues in simple, qualitative terms, yet discusses important theoretical aspects, industrial applications, and design issues where they are appropriate. The result is an intriguing exploration of this revolutionary technology, its design, uses, limitations, and future prospects.